Auschwitz. Treblinka. The very names of these Nazi camps evoke unspeakable cruelty. Sobibor is less well known, and this book discloses the horrors perpetrated there. Established in German-occupied Poland, the camp at Sobibor began its dreadful killing operation in May 1942. By October 1943, approximately 150,000 people had been murdered there. Sobibor is not well documented, and were it not for an extraordinary uprising in October 1943, we would know little about it. On October 14th, prisoners staged a remarkable uprising in which three hundred men and women escaped. The author identifies only forty-seven who survived the war. 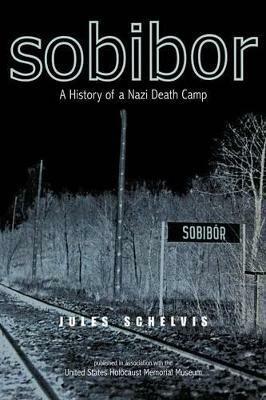 Sent in June 1943 to Sobibor, where his wife and family were murdered, Jules Schelvis has written the first book-length, fully documented account of the camp. He details the creation of the killing center, its personnel, the use of railways, selections, forced labor, gas chambers, escape attempts, and the historic uprising. In documenting this part of Holocaust history, this compelling and well-researched account advances our knowledge and understanding of the Nazi attempt to annihilate the European Jews.